The new Android 5.0 Lollipop is a breath of fresh air and is the biggest Android update at the time. It has a lot of new features that improve the user experience and it features a pretty new design. Every time a new Android comes out, the supported devices list changes almost every day. It takes companies some time to analyze the new system and decide how it can be incorporated on their smartphones and their own software. For example, Samsung uses TouchWiz and HTC uses Sense, so they have to test how the new operating system performs with their own systems. HTC has started to update its HTC One M8 to the new Android Lollipop and the next one to get an update will be the One M7. An Android Lollipop update schedule that was recently leaked shows when other HTC smartphones will get the update to Android Lollipop. There was a time when HTC sold more smartphones then Samsung but started to decline in profits and market share in the last years. However, when they started to copy Apple’s strategy and began focusing on design and good quality materials with its release in February 2013 of the HTC One M7, things started to look better for the company. The HTC One M7 offered a unibody made of anodized aluminum and had a curved back which made the smartphone feel great and fit comfortably in the user’s hand. 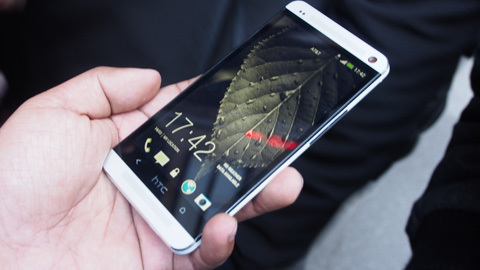 The M7 meant HTC’s comeback as it was one of the most popular phones in 2013. When the M8 was introduced by HTC back in March 2014, it updated the design of the mobile phone but didn’t go too far from the original M7 recipe which made it a huge hit in the smartphone market and in the tech community. A lot of reviews name the M8 one of the best mobile phones available as of now. Now, HTC began updating the device to Android Lollipop and we already had the chance to see the update on the M7 in a leaked video. If you have another HTC smartphone and were wondering when and if your smartphone will see an Android Lollipop update, recently leaked information reveals a timeline of when HTC plans to release the update on other devices other than the One M7 and One M8. 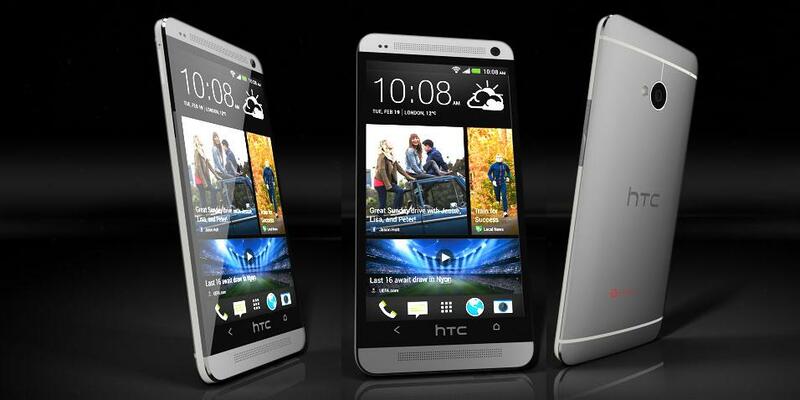 According to the leaked information, the Butterfly 2, HTC One M8 Eye, HTC One E8 and the Desire Eye will receive an update in February. The HTC One E8, One M8 Eye (both China), HTC One Max, Desire 820u, HTC One M7 Dual-Sim and One M8 Mini will get an update to the Android 5.0 Lollipop in March. The original HTC One Mini, The HTC Desire 610, Desire 510 and Desire 820s are shown on the information to receive an over the air (OTA) update to Lollipop in April or March. HTC didn’t officially release a schedule for when the company plans to update other devices than the One M7 and One M8 so it’s probably best you don’t put all your hopes into a leaked timeline for the moment. This is our review of the best smartphones currently on market. Keep in mind that these are the opinions of people who use them; we just made a list of the most common positive and negative aspects about these devices. We made this list in order to give you some information about smartphones before deciding which one to buy. In our research, most people have rated this device with a 4 or a 5 out of a possible 5. The result, therefore, is averaged at 4.5. This smartphone performs amazingly well in some areas such as design but not so great in others such as the resolution of the camera. One of the first things that come to mind when you see the M8 is that it’s extremely beautiful and has a solid and great metal casing. This is one of the reasons it is appreciated by its users and is what makes this smartphone stand out from the crowd. The M8’s battery life is said to be better than the previous generation and most people who use the device seem to be happy with it even though there are some people that say the battery life could have been even better. Almost everyone is happy with the specs of the M8, software, display and performance and users tend to believe its price is quite reasonable. Another great feature is that the mobile phone supports a 128GB memory card. The 4MP camera takes rather good pictures in darker environments and performs well with appropriate lighting. However, the low resolution is not something to be ignored and everybody agrees that it’s one of the lowest points in the M8. The BoomSound speakers are also an important known feature of the HTC One mobile phones and it is certainly something that no other smartphone can beat at the moment. Even though almost everyone is pleased by the sound quality coming from the speakers, not all users are happy of how big they are. Some people see the M8, however, as a step back in design quality from the M7 and argue that the smartphone would have been a lot better if it had more than 16GB internal storage. The Motorola Moto X has some features that make it great and was able to score 4.6 out of 5. It seems that one of the most appreciated features of the Moto X is its rendition of Android OS that seems to be very close to stock. This helps the performance, as well. Even though the processor found in this smartphone is a little old, a lot of people are happy with its performance and how the smartphone can handle almost everything without any form of lag. Another appreciated fact about the Moto X is its design and how comfortable it is in the hand. Because it has a 4.7 inch screen, the Moto X can be held without problems in just one hand and people also seem to like the AMOLED display. Even though the Moto X was pretty expensive when it came out last year, this year the device can be pretty affordable. The quality of the camera, however, seems to be the biggest problem, according to users of the Moto X. 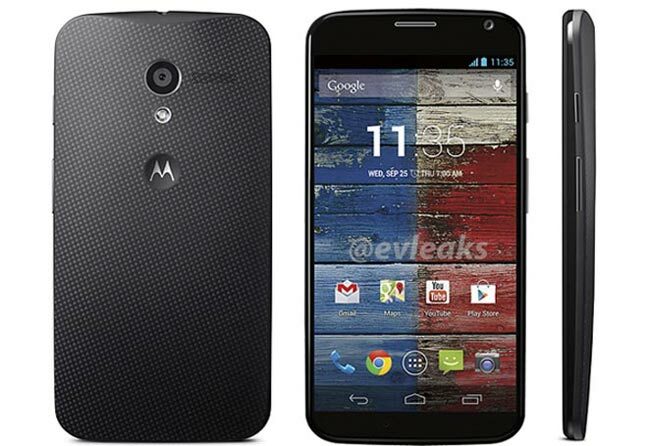 The camera that is found on the Moto X is not the same quality as the cameras found on different competitors. Also, the battery life seems to be a little disappointing and another downside is the fact that the device doesn’t support microSD and doesn’t have much storage space. Some users from certain countries also criticized that the Moto Maker isn’t available in their locations. Even though it didn’t score as high as others, the LG G3 is still a pretty important smartphone. The LG G3 scored 4.3 out of 5. Even though the phone is appreciated in most of the cases, it does have some quirks that some people do not enjoy. One of the most talked about features of the LG G3 is its display of 1440p which looks amazing. People who own the device also seem to be happy about the performance and specs of the LG G3. Many users seem to like the phone’s design and describe it as being compact as the device has very thin bezels. The camera also seems to be good although there are certain issues affecting it also. The biggest complaint regarding the G3 is its battery life. The resolution of the display in combination with the GPU that sometimes can’t really handle it very efficiently makes the battery life quite short. The resolution of the display seems to make many complain that the device gets rather hot when watching videos or playing games. The camera doesn’t snap great quality photos in darker environments and one other flaw seems to be the fact that it is rather slow to react. 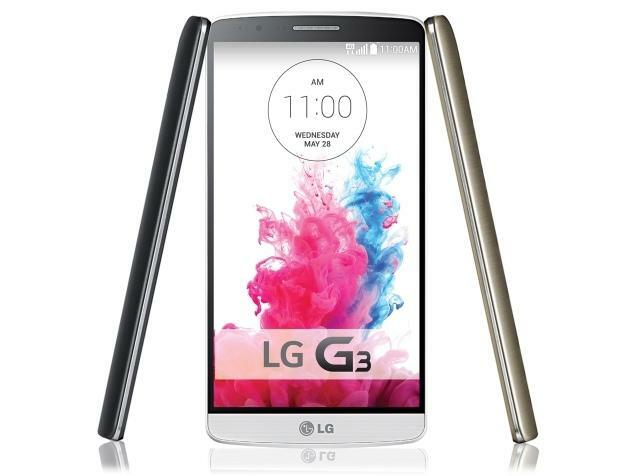 Some like the features offered on the LG G3 but some people feel they are somewhat heavy and unpolished. 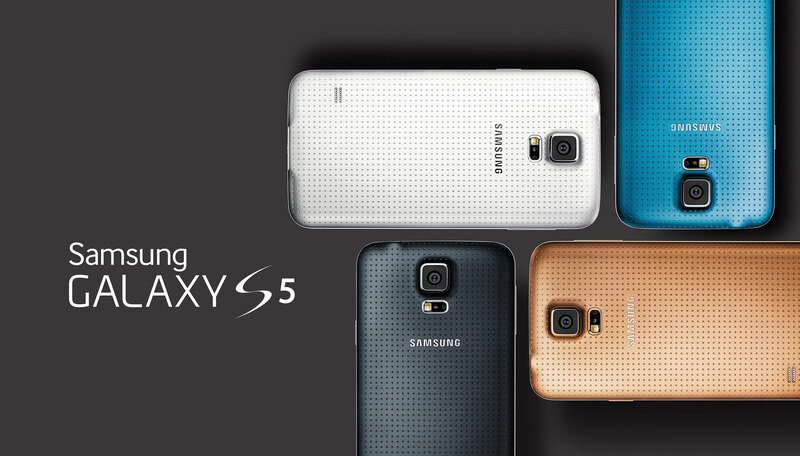 The Samsung Galaxy S5 has received a score of 3.9 out of a possible 5. This seems to be one of the most controversial smartphones out there. Some people seem to hate the device while others seem to love a couple of features on it and hate others and some just plain love everything about it. Most users seem to appreciate the battery life of the Samsung Galaxy S5 and the display. The screen is said to work very well both outdoors and indoors. Compared to previous generations, the camera seems to have improved a lot and many people are happy that Samsung worked on it. People seem to really like that the device is waterproof, also. However, it’s not all roses and one of the most complained about feature is the interface called TouchWiz. People also seem to be unhappy with the software Samsung decided to cram into the device as it really slows the smartphone down, even though the Samsung Galaxy S5 had some of the best specs when it initially launched. The software may also lead the device to overheat even when used just for the basic things. Also, some of the Galaxy S5’s features don’t work as they are intended to such as the fingerprint scanner and IR blaster. Some users really like the design of the Samsung Galaxy S5 but some think the design is quite boring and old. 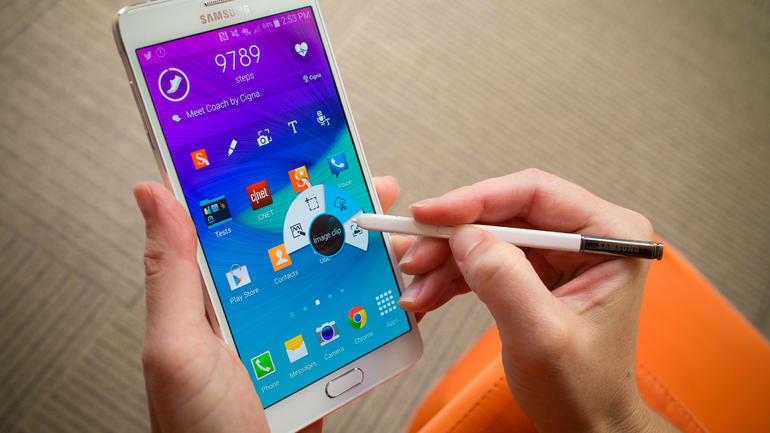 The Samsung Galaxy Notes are usually well received and the Samsung Galaxy Note 4 got a score of 4.5 out of 5. The most important Note 4 features are the display that boasts a quad-HD resolution of 2,560 x 1,440 and is Super AMOLED, the S Pen and great performance. Owners of the Note 4 claim that the S Pen is more natural to use and better than the one found on previous generations. Cameras found on Samsung smartphones are good most of the times but it look like Samsung outdid themselves with the Note 4 camera. Most users were surprised with the quality of the camera which makes the gap between DSLRs and smartphone cameras seem a lot smaller. The battery life is also great with some users reporting that it even lasts for a couple of days when the device is moderately used. Even though Samsung smartphones don’t have the best build materials some users say that the Note 4 is a lot better than previous generations. The biggest down point of the device is the interface known as TouchWiz which has been described as being heavy. The Note 4 also comes with a lot of preinstalled software that eat up both storage space and RAM. Some users wish that Samsung would have put 64GB of storage in their phablet so they would have more space for apps. The 4K recordings the device is capable of doing can also fill pretty fast the internal storage on the device. Another low point is the price of the device but users are willing to pay the extra money for the device. Even though it’s probably the most known smartphone in the world and is produced by one of the most important tech company the iPhone 6 only received a score of 3.3 out of 5. Some people love the device because of how easy the iPhone 6 can be used and some people hate it because it doesn’t have very powerful features. The most important point in favor of the smartphone is the camera. The camera was already great in previous generations but Apple outdid itself with the camera found in the iPhone 6. Many users love the quality of the screen and how well the device performs. The Touch ID also seems to be one of the best features on the device not just because it is a great fingerprint scanner but because it does what it’s built to do, when compared with other such devices that have the same feature. The design of the iPhone 6 seems to have gone down a little since the 5s but the device feels great in the hand and is very thin. Many users don’t enjoy the restriction Apple imposes on its devices and because they are forced into using iTunes, software that is hated universally. As for hardware, the iPhone 6 doesn’t really lack but some people are disappointed and angry that Apple still decided to put only 1GB of RAM in the smartphone. The camera protrusion from the rest of the body is also an annoyance for many users, despite the phone looking quite good. Some users also say that the battery life could be better and others wish the iPhone 6, like the iPhone 6 plus would have optical image stabilization and a 1080p display. 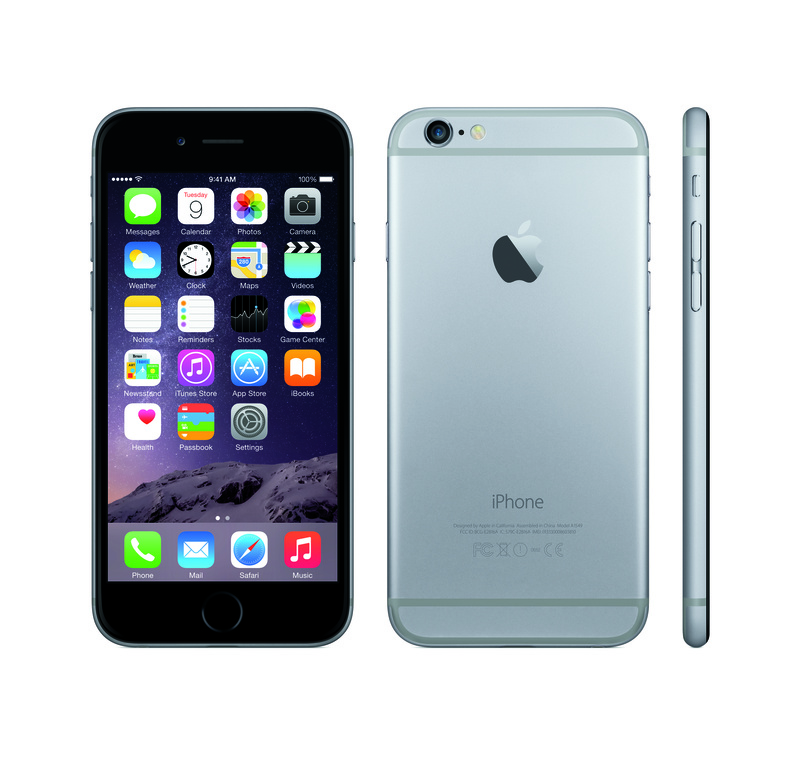 The iPhone 6 Plus received an even lower score than its brother, of just 3.2 out of 5. The main reason for this seems to be its size. The favorite features found on the iPhone 6 Plus are the camera, how slim the device is, a wide variety of apps to choose from, the slow motion video capabilities and the performance of the CPU. The optical image stabilization also seems to be appreciated by the users of the smartphone as well as the 1080p display. Many issues still plague the device, however, such as the bugs in iOS 8, a very limited app store and restricted functionality. The biggest problem with the device seems to be the size which many people have said that makes the device really uncomfortable to hold. 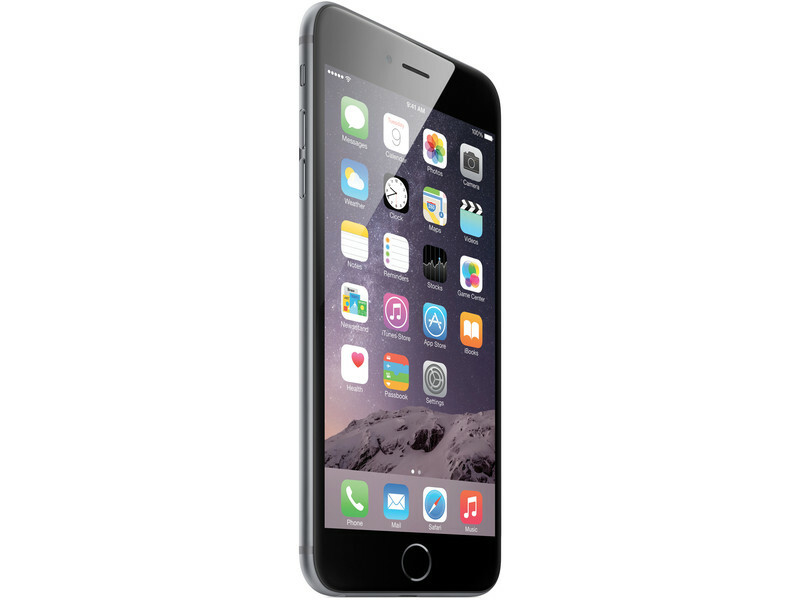 It could have been easier to hold if Apple would have put smaller bezels on the iPhone 6 Plus. Some users dislike the fact that Apple uses its proprietary hardware and software and hate the charger for not being standard. There you have it. This was our list of the best smartphones out there. We hope we helped you in making a decision of which smartphone to buy. The HTC One M8 may be one of the most successful smartphones of the year, but this doesn’t mean that it can’t get any better. Because it has been available for the better part of 2014, owners now have the chance to choose from a variety of accessories such as covers, storage, miscellaneous, bluetooth and more. At the moment, the HTC One M8 is available with most carriers in the United States. It is also possible to purchase Android 5.0.1 Lollipop directly through Google if you want. 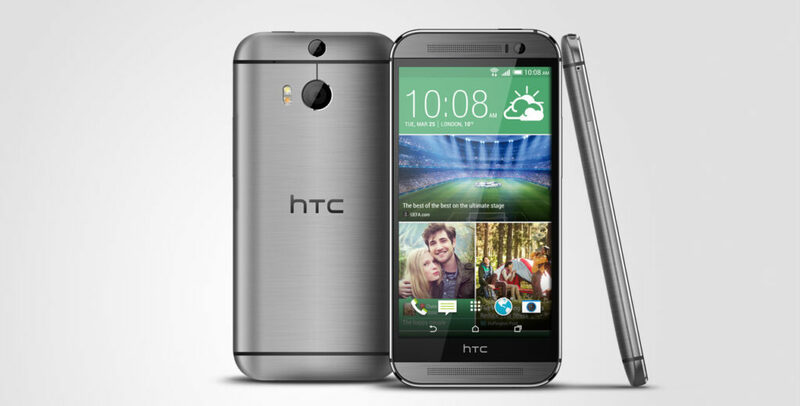 HTC One M8 is a stellar phone which has plenty of cool features and functionalities to offer. Some of the most important specs include dual rear cameras, beautiful brushed aluminium design and front facing speakers. Nevertheless, there is always room for improvement. The following 10 accessories, which we believe are worth buying, should definitely offer you a better experience with the HTC One M8 flagship. In case you didn’t know, HTC hosted a 50% off sale for many of its official accessories last week. Although most of these deals have expired, there are still plenty of retailers that offer some of the best HTC One M8 accessories at a discounted price. The following accessories are not only useful, but also budget friendly. Let’s kickstart our list with some of the best smartphone covers for your brand new HTC. If we were to list all the great cases that you can apply on your HTC One M8 we would have probably needed to expand the list with more than 20 points. There are literally so many options for budget-priced and premium cases that we have simply decided to list some of the best here. The great news is that if you can’t find something that you like, you only have to wait a few weeks. Developers are constantly releasing new cases to match the needs of customers. 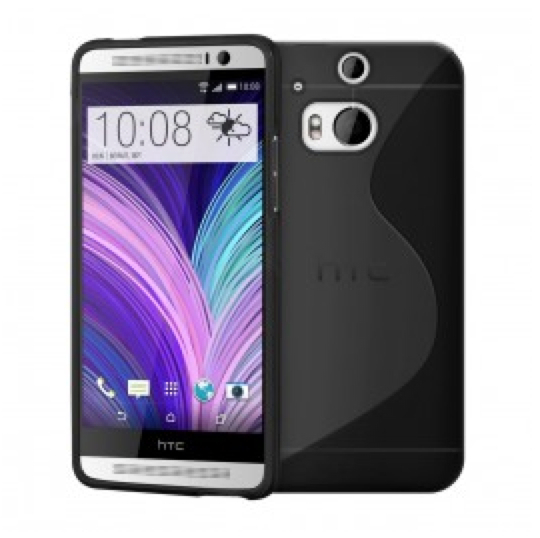 If you’d rather not spend more than 40 dollars on a HTC One M8 case, although we believe that this is a small sum as compared to damaging your phone, there are still many budget options. Case-Mate Naked Tough: Some people view cases as fashion statements. Most simply want to protect their phones from damage without having to hide the design of the phone. For the latter category, the Case-Mate Naked cover is a great option. It features a completely transparent design and it is made from two-ply hard shell plastic pieces. 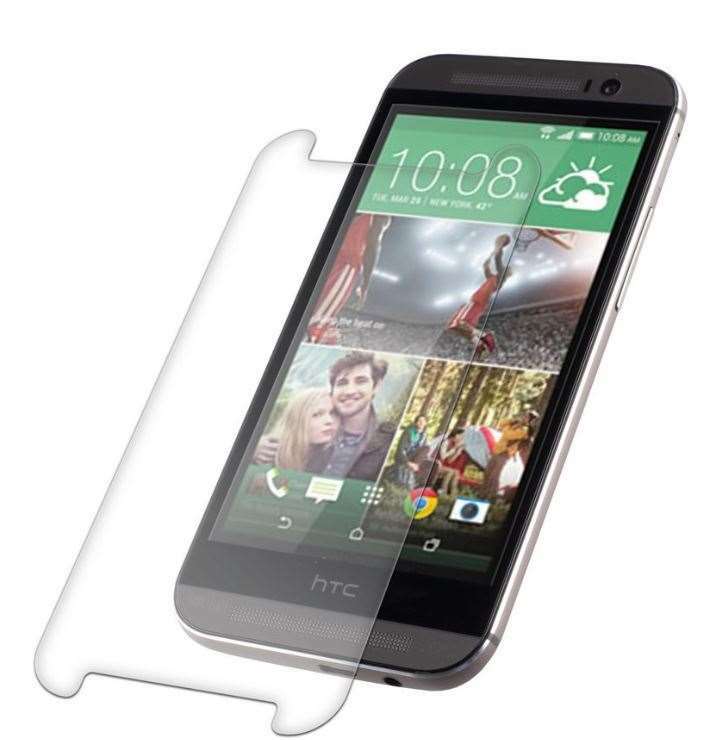 What we love most about this case is the fact that it preserves the slim and sleek design of the HTC One. HTC Dot View: this case is quite unusual due to its dot-matrix design. While some may enjoy it, others will not. However, you should know that the cover, which is still transparent enough to receive alerts and swipe, will protect your phone from nearly any type of damage. Cruzerlite S-Line TPU: this list would be incomplete without the Cruzerlite TPU case. This is the perfect type of cover for people who want to add a little more personality to their smart-phone (as it comes in eight two-tone color options). The selling point of Cruzerlite is undoubtedly the fact that it costs only 5.90$. Genuine Leather Pouch: Are you looking for a classic cover? Then the HTC One M8 genuine leather pouch is the ideal choice. You can never go wrong with something as classy as a leather cover. Granted, this may not be necessarily a HTC One M8 accessory, but it is definitely one that you need to buy in order to ensure full protection for your phone. Glass screen protectors do a great job at protecting the screen and they are also cheap. If you are looking for something special you should also check out our review for Zagg Invisible Shield. As far as application of glass cover is concerned, this is something that you needn’t do yourself. We advise you to go to a specialized shop and ask them to apply it for you. Most specialists use special oil and anti-dust cloth to avoid bubbles of air. How in the world is FitBit Flex an accessory for the HTC One M8, you might ask. It’s actually quite simple. The two devices have a very special relationship. 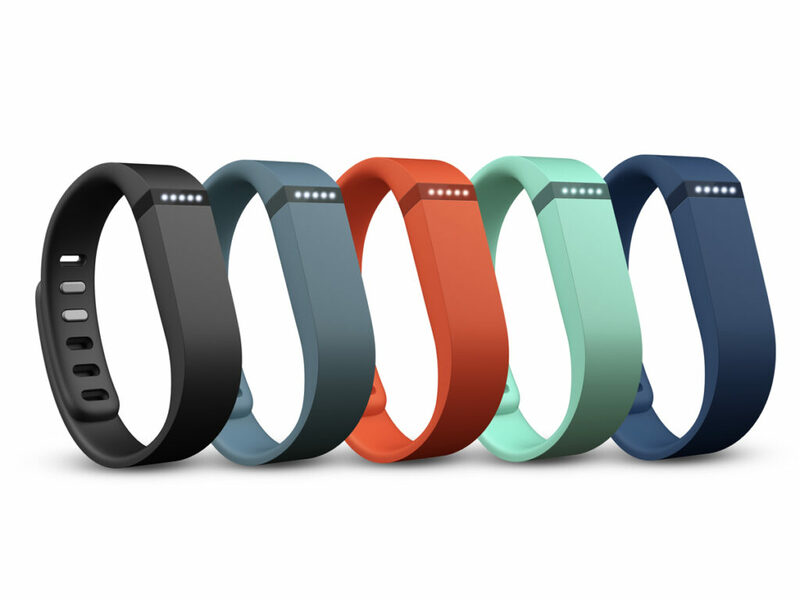 All you have to do is to snag the FitBit app from the official website, insert your details and start working out. Once you start working out, the Flex will begin to track all the activity you do, the distances that you cover and the calories that you burn. Next, it will proceed to serve you reward badges directly into your HTC’s BlinkFeed social media aggregator. This is a great way of encouraging people to keep up their healthy habits. We are pretty confident that most people who own smart-phones also enjoy listening to music on it. While M8’s front speakers are excellent, they can’t be used on public transportation or at work. Therefore, you need an equally amazing pair of headphones. The ideal choice would be SoundMagix ES20. 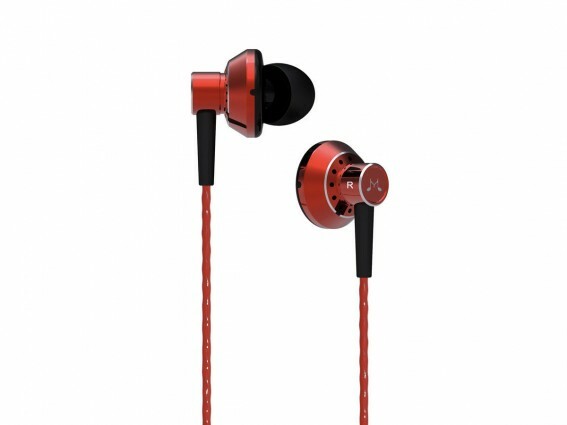 Not only are they incredibly cheap (only 25 dollars a pop), but they also offer great sound quality. If waiting for your phone to charge makes you cringe, we might be able to help you. 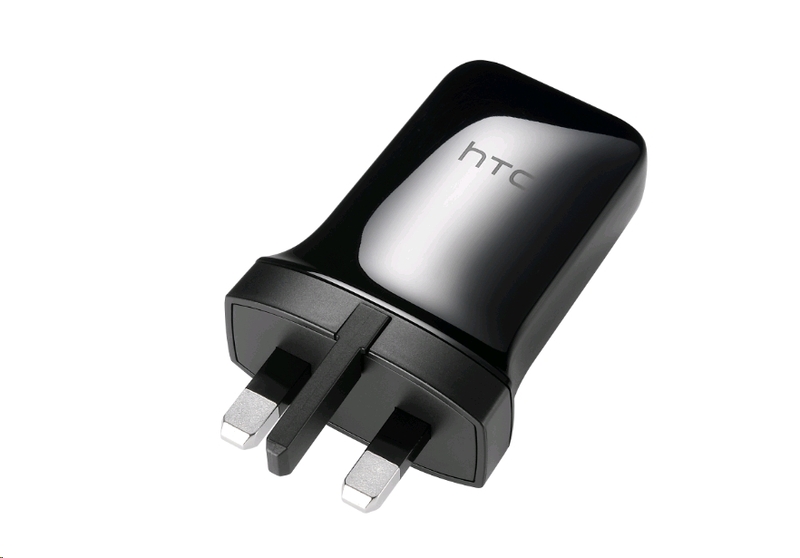 The Fast charger 7.5W AC Adaptor TC P900 comes in a new design with USB port for most HTC devices. For approximately 20 dollars you will be able to charge your phone in less than half the time that you used to allocate at first. Since we are on the topic of battery, here’s another great HTC One M8 accessory that you should definitely consider purchasing. The POWERPLANT Portable back-up charger will never let you down. This nifty little gadget comes with an inbuilt battery which can provide with approximately two full charges for your smart-phone. 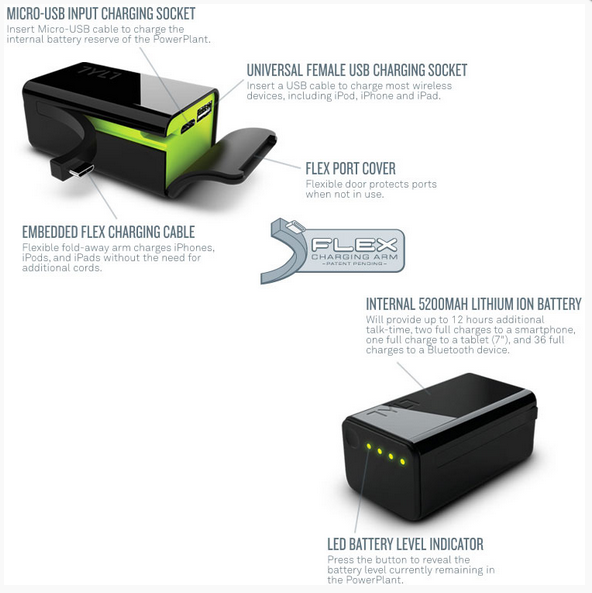 This is the type of accessory designed for power users or individuals who have to travel a lot. The PowerPlant’s features include a 5200mAh battery, a Flex Arm for charging on the go, USB socket for devices, LED battery level indicator etc. Now this is a great little gadget that many of you will enjoy. 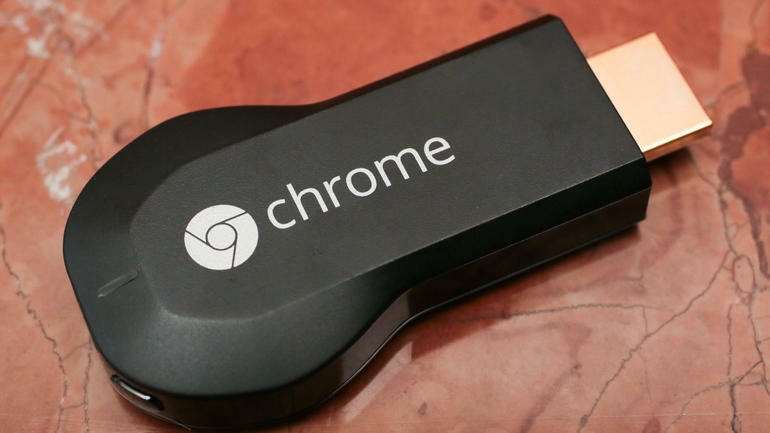 The Google Chromecast, which costs only 35 dollars, can be connected to a HDMI port on the TV. It will then allow the user to install the app on the phone, which will connect directly through Wi-Fi connection. Once installation is complete, the app will send information to Chromecast and the next time you open a video on the smart-phone, it will also be displayed on the TV. Here are a few key features of the Chromecast: Netflix, Vevo, Pandora, Hulu Plus, HBO Go, AllCast, Google Play Music (movies + TV apps), YouTube, Plex etc. Awox Striimlight Sl-B10 is an external speakert hat you can add to your HTC One M8. This accessory suggestion may sound surprising, especially considering that the Android flagship already has superb working speakers. What you may not know is the fact that AwoX also comes with a lighbulb. Not only is this gadget Bluetooth smart, but it is also HTC Connect certified. This means that it works seamlessly with HTC’s flagship. We believe that this is a great app for cozy nights when you just want to chill to some sweet jams and light up your lounge. This gadget does exactly what the name suggests: it fetches. There is no feeling more annoying in the world than the one you have after you lost your keys. OK, maybe finding your keys after you changed the lock is worse. Actually, in this day and age, losing your phone is probably the worst scenario because you basically have your entire life recorded there. 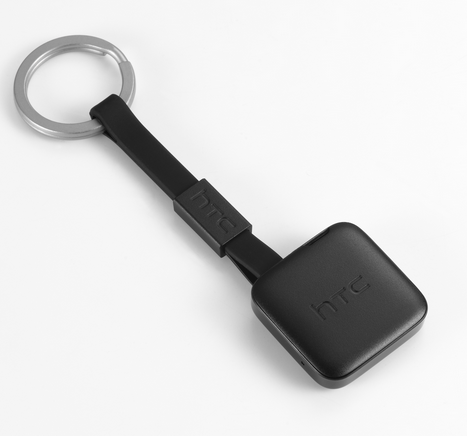 With HTC Fetch you never have to misplace your keys again, or anything else for that matter). This great gadget will make your phone ring within 15 meters. All you have to do is attach it to your keys, and use it to help locate your phone (or the other way around). There is even a map function that will let you see when you and your keys / lost objects, were last seen together. 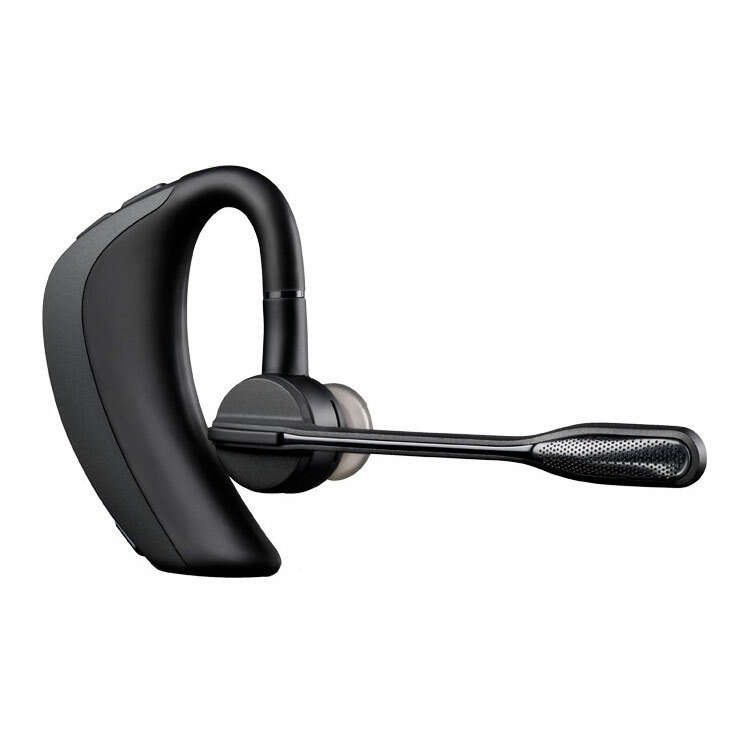 The last item on our list is the Plantronics Voyager PRO HD Bluetooth headset, especially designed for smart-phones. While I love my smart-phones, I can’t help but feel that they are a bit too big for talking on the phone. This is exactly why I decided to start using the Planronics Voyager Bluetooth headset. This gadget is subtle and efficient, you won’t even know it’s there. Granted, it comes at quite a spicey price – roughly 85.00$ dollars, but it will free up your hands a lot. It has been a whole month since the eagerly awaited Android 5.0 Lollipop operating system update has been released, bringing a new visual layout, performance optimization improvements and power usage efficiency to Android devices. It was a surprise announcement confirmed and released at the same time with the Motorola Nexus 6 and HTC Nexus 9, somewhere during mid-October. It was followed by Google finally making its source code available on November 3rd, thus marking the official release for general availability and a green light for manufacturers to start implementing it on their devices. Anyone who has already upgraded their OS to Android 5.0 Lollipop will be able to tell you all the good things that the update came up with. It is surely one of the most important releases in terms of operating systems, revamping the whole idea behind the interface that Android devices display to their users and its corresponding features. It would appear that developers have given up on some of the features that stuck with the previous variants the whole way, since its inception. Instead, as soon as you make the upgrade, you are greeted by a clean, simple interface that does not hold back on the premium, elegant feeling. The new menu feels familiar and yet, refreshed and different – while the grid idea stays even in the new operating system, it now flies out like a window on the Nexus 9, with a more bi-dimensional artwork to it. Developers have named the style Material Design, which focuses on the way the fundamentals of light, surface and movement are keys to how objects move and interact in relation to each other. The system is not heavy on shadowing, but the more simplistic fashion is still bringing several animation flourishes that maintain the feel of the operating system far from boring. Personalization has always been a strong point of Android operating systems, and the Android Lollipop really takes the crown in that department. The simplistic looking interface became easier to use than ever, letting you have a shot at customizing your own, personal, version of it. The notification system has gone through its own metamorphosis process, now behaving less intrusive than before, and joining the quick settings buttons in the pull-down menu in an intuitive way. The lock screen is happy to display new functionality as well, now presenting a drop-down like menu for the notifications, replacing the hidden swipe-down function of older Android OS versions. Important information has never been easier to access without even having to unlock your phone, a change that mimics the iOS to some extent. On top of that, the notification system is now highly customizable itself, letting you choose what shows, when it shows and where it shows most of the time. Android 5.0 Lollipop feels responsive on more than one level. One would be the dynamics in the lock screen – most gestures will probably earn you a reaction in some way, making the operating system feel very interactive and capable. On another level, we would be discussing system performance on the upgraded operating system. While it was expected that the Lollipop would run like a well-oiled machine on the new Nexus 6 and Nexus 9 that brought it into the spotlight, due to it being heavily optimized for that family of technical specifications, there was some concern regarding older models. Thankfully, due to the less loaded, simplistic and light nature of the Android 5.0 Lollipop, older devices running on as low as 512 MB of RAM have shown no complaints so far, manufacturers making sure to give this wonderful option to lower-end devices just as well as high-end ones. The camera and recording component is also getting plenty of love from the new operating system, the application that goes with it having gone through an almost complete revamp itself. It still goes by the general rule that seems to guide the direction in which Android 5.0 Lollipop is heading – less clutter, more space and comprehensive usage for your delight. The camera app is showing off some new features such as the Photo Sphere, Panorama mode and the Lens Blur and many more optimization options to go with your usual photo snapping and video recording. Changing resolution, quality levels and location data are all part of the customization process of your camera usage, whether you will be using this on new Android releases or older models. 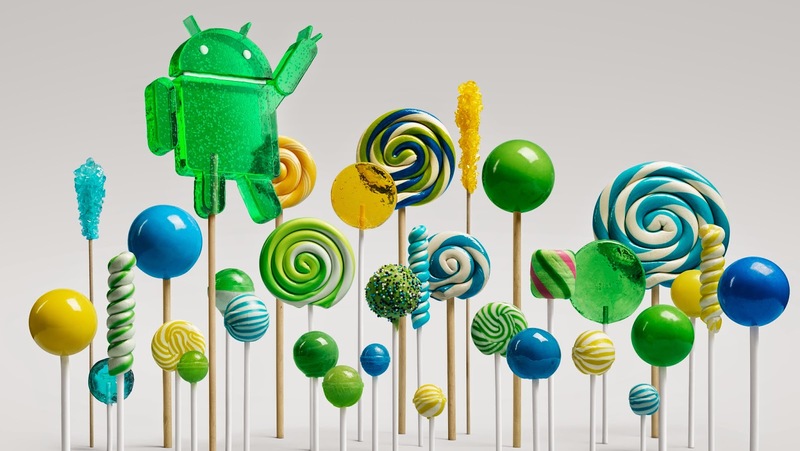 All in all, there’s not much we can say against the Lollipop upgrade for Android devices. Not only that it brings a much-needed visual and functional upgrade to existent devices, but it managed to improve performance and battery life altogether, boost up security and pave up the way towards the next generation of smartphones. The latest OS upgrade really does show promise and with the updates and preemptive introduction of support for files and development tools leads us to believe the developers are proud of it and that the Android 5.0 Lollipop is here to stay for a long time. Flagship Android device owners were able to rejoice on Wednesday when the company push-released the latest, most expected operating system update over-the-air, thus starting a two-week phase in which most HTC One M7 and HTC One M8 users can finally get their hands on the upgrade. It has barely been out for less than a few days and we are already being shown the 5.0.1 version that seems to be bringing a few bug fixes and minor tweaks to the original version, proving – in case we needed proving – that developers are showing very high hopes for this operating system. It is the biggest upgrade we have seen in a very long time, if not ever, and will surely be hosted on the new, surprise devices incoming as soon as the next year starts. With no time to spare, let’s take a look at how the new operating system has been dealing with its implementation on HTC devices so far. The update can be grabbed over-the-air, meaning you can download it straight from your settings menu and apply it whenever you feel fit. Although there have been some leaked versions of the Android 5.0 Lollipop travelling before the update release, we can only speak of the changes on the latest, official download of the operating system. Judging by the state of things that the HTC One Android 5.0 Lollipop upgrade entails, the update seems to be well in its final developing and testing phase. 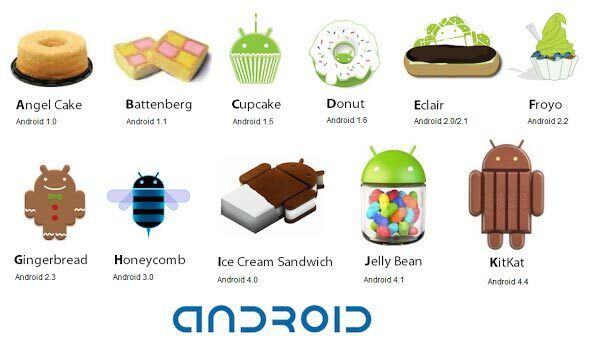 The promise that most recent Android smartphones will receive an upgrade to the new operating system in no more than 90 days starting with the moment it’s sent in code to manufacturers might prove to take less than expected, given how far the Android 5.0 Lollipop has already come. Some of the HTC users might however find themselves embarking on a little longer wait, as Google Play Edition devices won’t be released until this Friday. The delay was caused by several attention-worthy bugs that could not be let go, in spite of the system still being in testing phase. The screenshots and opinions of the few who managed to get their hands on the update do give us some insight into what we should expect from this operating system update on HTC devices. The OS seems to have kept the best of both worlds: the lock screen looks very similar to what we have been used to, minus the notification system that pops up to show off the new flexibility of the software. Important information and events can be viewed without unlocking your HTC, a simple swipe taking you to the corresponding application upon unlocking, or marking it as read – depending on your preference. The drop-down menu seems to have made it safely to the HTC devices as well, allowing you to view the notifications with a two-finger pull-down, or accessing many of the quick settings with a regular drag. The design of the menus seem to rely on hues of gray or classic white, and swiping through them brings out the new Android 5.0 Lollipop animations into focus. A very clever Easter egg has been added to the operating system, which can be easily accessed from your settings. If you go to your About Phone menu and hold a tap on the Lollipop listing as current operating system, you’re in for a surprise. This launches an application that’s your Lollipop-customized, Android-tested and approved version of Flappy Bird – even more difficult than the original. There’s no telling if this is planned to stay as more devices receive the Lollipop update, but it sure is a very entertaining, hidden feature. The security feature that allows you to create a temporary, guest account on your phone in a similar manner to how accounts work on Windows computers, is a very nice addition to the device. It can be accessed from the drag-down menu of your HTC and takes less than seconds to set up. Animations are subtle yet omnipresent, which gives the HTC a more animated feel in comparison to what we’ve been used to so far. The device did not appear to have any problems running as smoothly as technology can give you nowadays. While the operating system is bringing some tweaks to power usage, reckless on-screen time with display brightness set all the way up did not reward us with more than 6 hours until the battery was starting to demand a charger’s attention. Not very different from what any regular smartphone user is accustomed to, but taking all of the customizations and options the Android 5.0 Lollipop gives you to reduce batter drain, you could be looking at not having to charge your phone for a very long time in moderate-usage conditions. As of right now, all HTC One M8/M7 model users can proceed to download the Lollipop update to their device, other HTC models still awaiting official release of the operating system. Considering the 90 day update promise that was started on November 3rd, most of us should be looking at the next 2 months for potential updates. What we do know is that HTC is working hard on the Android 5.0 Lollipop upgrade for all of its devices, and on a new look to the HTC Sense.